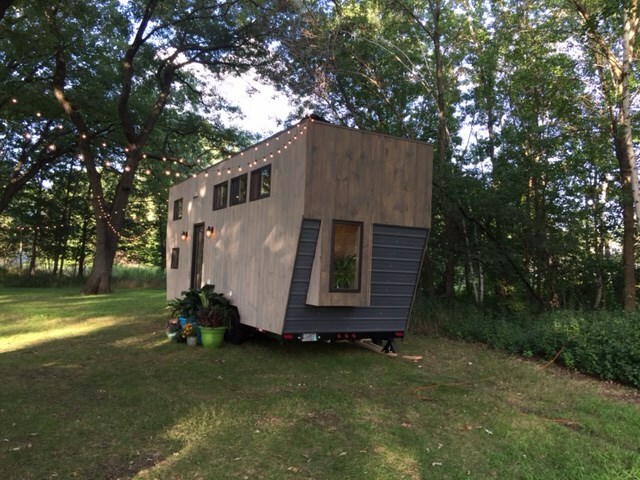 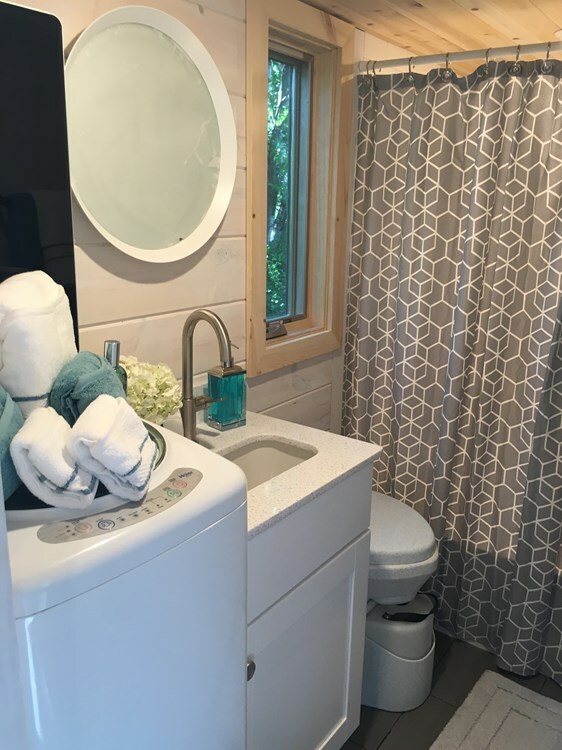 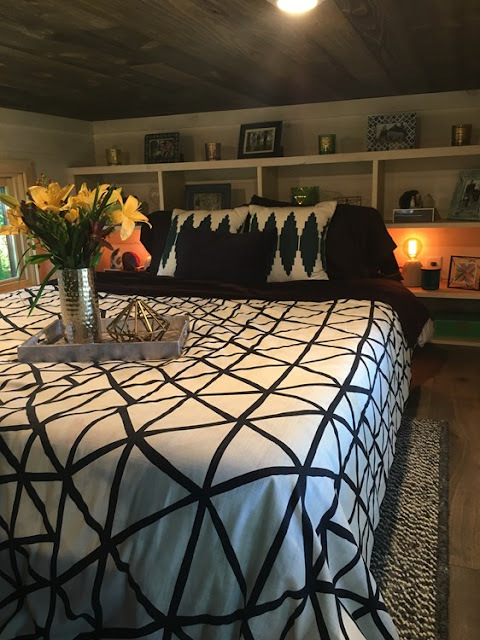 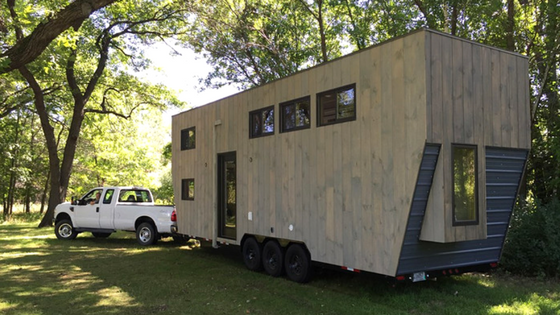 Featured on Tiny House Nation earlier this year, and now offered for sale, is this 28' contemporary tiny home. 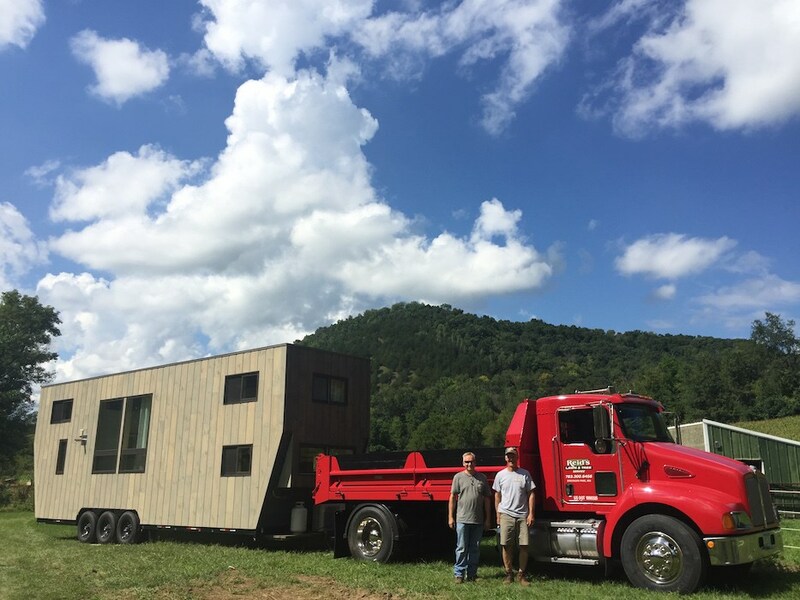 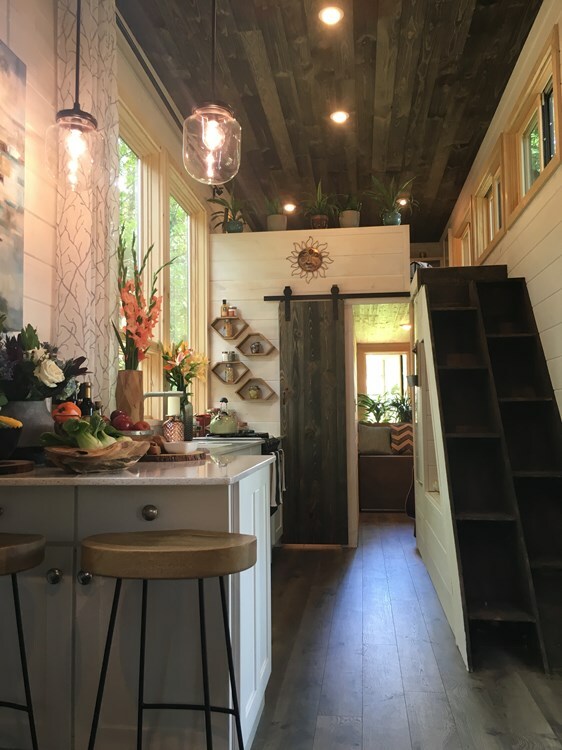 The house was featured on an episode titled "Ever Growing Tiny House" and is currently offered for sale from its original owners who want to downsize even more. 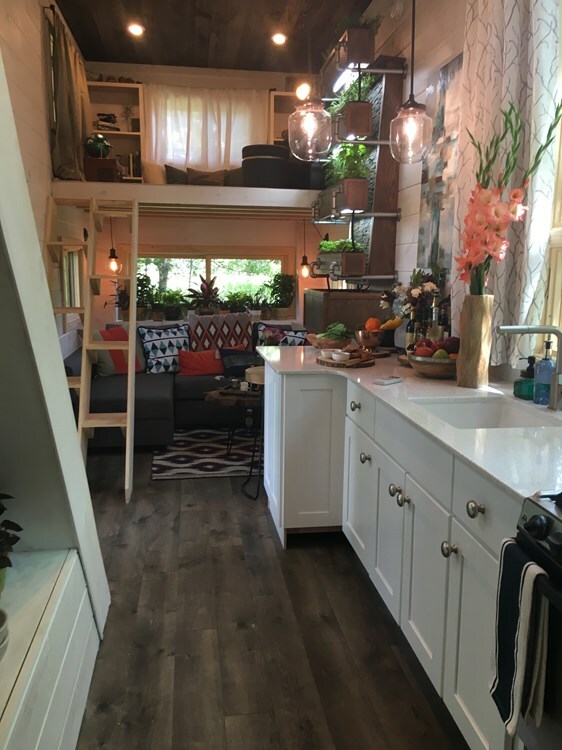 There's 220 sq ft of space on the home's ground floor, and 330 sq ft in total once you add in the loft space. 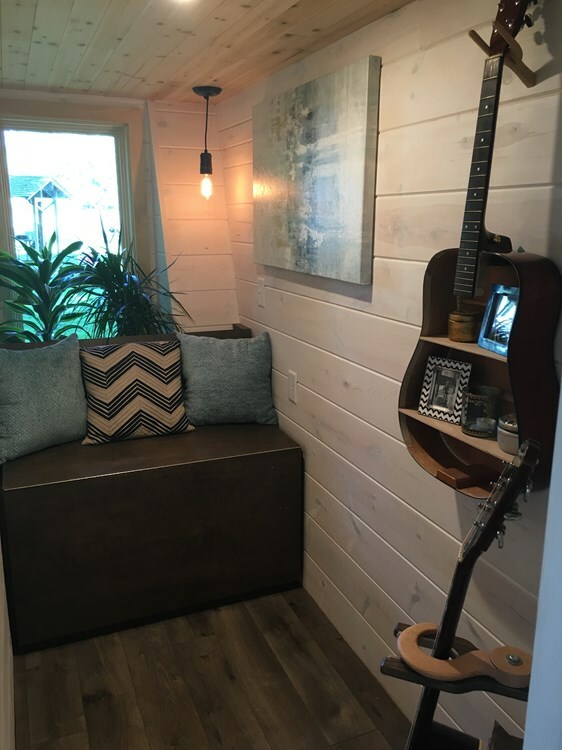 Built by Glenmark Construction, the home features a full kitchen, living room, bathroom, a loft bedroom, and a small ground floor space you could use as a second bedroom or a home office. The kitchen comes equipped with a fridge, stainless steel three-burner stove, quartz countertops, and shaker-style cabinets. 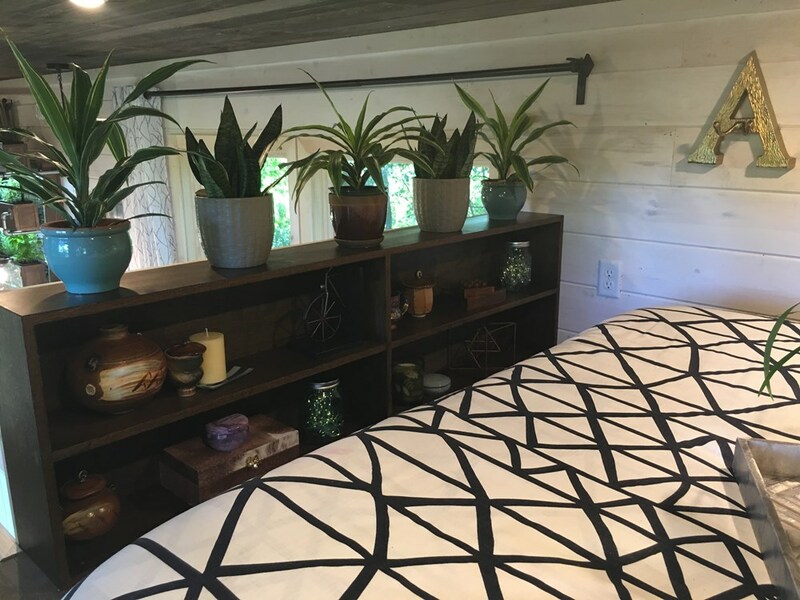 Perhaps the coolest feature of the home is a garden wall! 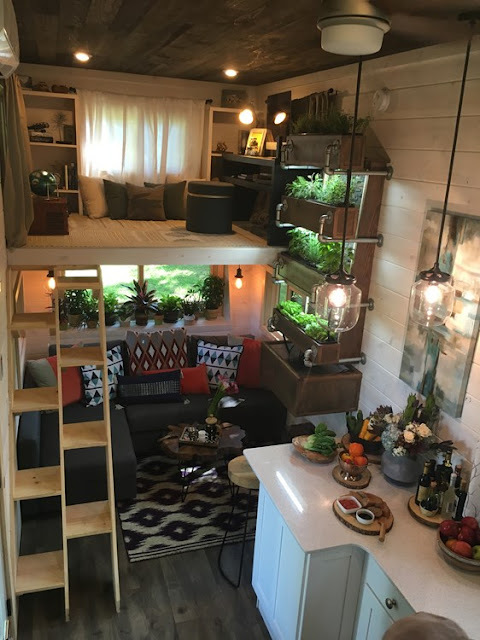 It includes an irrigation system, grow lights, and a waterfall. The home is currently available for sale here for $92,000.